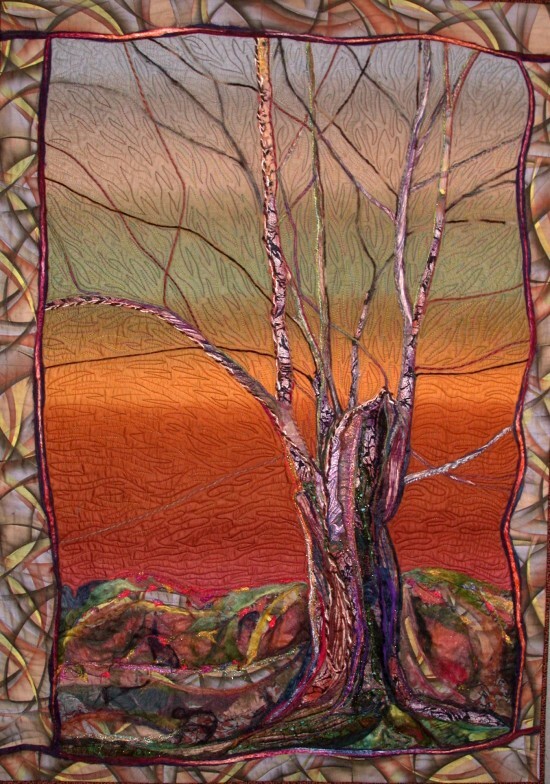 Our wonderful new header shows a detail from a work of fiber art by our Featured Artist of the 2013 Holiday Exhibit of the Nature Artists’ Guild of The Morton Arboretum, Sharon Malec. Please click on the “Our Current Featured Artist” tab at the top of this page to read about Sharon and view more examples of her beautiful artwork. Check back soon for more about the upcoming exhibit, which will take place from November 8 until November 10, 2013.